Every year at Halloween we see people wearing costumes & masks. Some of these are scary, some whimsical, some are cute & some are silly. 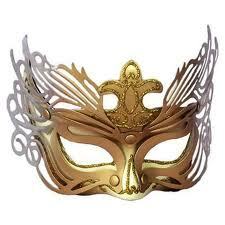 Children and adults don masks and costumes to become a different persona for a night. Consider adopting a different persona in your real estate career to make more sales and close more transactions! This “trick” may lead to more commission “treats” in your business! Confidence and optimism breed confidence and optimism. Make note of things you did not do in this transaction so that you may do those in the future, but not not dwell on these issues as “mistakes” and beat yourself up for items you omitted or bumbled. Focus on the things you do well within your real estate business and ccelebrate your successes! Focus on what you did well and you will be increasingly optimistic about your real estate sales skills. Truly think about what is the worst that can happen given your latest action/communication/omission. Consider that even in the “worst case scenario,” you still have your health, your family and friends and the ability to continue in your real estate career and go get more clients! Find an agent who is knowledgeable in some aspect you want to learn and “shadow” that agent or mentor with that agent. With the constant exposure to a new song on the radio, over time, you have memorized those lyrics without even trying; so too will be your experience with repeated positive affirmations about your real estate sales skills… you will soon internalize those emotions and beliefs! Self-confident people inspire confidence and trust in others. When you assert your leadership skills and confidence with your prospects, you will be able to persuade them them into becoming your clients so that you may help them achieve their real estate goals….. and get paid for doing a job well-done! When someone hires you as their real estate advocate, they are merely looking for leadership and confidence that you can get the job done for them! So, this Halloween, put on a mask and become the confident expert in whatever area of real estate you choose; after all, new prospects know nothing about you other than what you present to them! What do you do to market yourself and your services AFTER your transaction closes? This is a prime opportunity to cement your relationship with your clients and your co-op customers to ensure ongoing referrals and more closings! Differentiate yourself from your colleagues by providing as much service AFTER the sale as you did converting your lead into a client, showing and negotiating offers and closing a transaction! How many times have you heard to contact your past clients and ask them for referral business… how consistent are you at contacting this group? Why are you not contacting them on a regular basis? It is much easier if you know exactly what to say in the contact, have a regularly scheduled communication campaign and offer them something of value. There are so many reminders and tips and tricks that an owner needs to know about their new home! 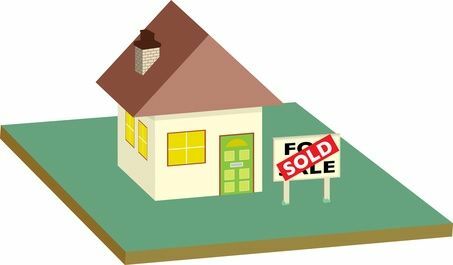 Remember that even a Seller is living somewhere in a new home! Vary the method of communication among email, US mail, telephone and text. Below is a list of topics and time frames and examples of how to run an organized and regular campaign to increase your business by 20% by staying in touch with your past clients in a meaningful way. Hello, I hope you’re comfortable in your new home and are enjoying your new neighborhood. With the move, unpacking and getting used to your new environment it’s easy to overlook basic home safety. Below are some tips on making your home safe and secure for your family. Use rubber-backed rugs on hard floors to prevent slipping and falls. Install non-slip strips in showers and tubs; grab bars are also a good idea in these areas. Install smoke detectors on each floor of your home and test them frequently. Plan for escape routes in case of fire. Keep a filled ABC-rated fire extinguisher near the kitchen. Prevent scalding by setting your hot water thermostat to 120F or less. Have a list of emergency numbers near your phone; teach your children how to call 9-1-1. Keep poison, cleaners and other hazardous substances out of the reach of children. Read and follow the label directions on hazardous chemicals before you use them. Don’t mix products that contain chlorine bleach with those that contain ammonia; this can produce a deadly chlorine gas. Leave on outside lights or install motion detection switches for the safety of visitors and to deter burglars. Keep hedges and bushes neatly trimmed, especially around doors and windows, so that burglars don’t have a place to hide. Inventory your valuables by photos or videotaping, keep these along with receipts or written appraisals in a safe place. My business is built mainly on referrals from satisfied clients like you, if you know of anyone interested in buying or selling a home, please let them know that I’ll give them the same level of professional service I gave you. I’ll keep in touch periodically to see how you’re doing; in the meantime if there’s anything I can do for you please let me know. What does the brain love that has the power to engage us, shift our mindsets, drive knowledge and growth, and fuel creativity and critical thinking? Could the answer be questions? 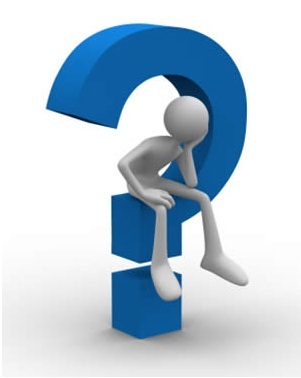 Are you asking enough questions when you prospect and present? Or are you simply talking “at” people? Remember that the more questions you ask, the more you actually pull people into the conversation, doesn’t that make sense? So doesn’t it also make sense that the more you make statements, the more you push them away from you? And doesn’t the person that asks questions always control the conversation? So, ask yourself this question: Do I want to pull people into my way of thinking, or do I want to push them away from me? How can you ask more questions? Can you turn statements you normally make into questions you can ask? You can use tie-downs at the end of a statement that you make, can’t you? Wouldn’t you be more effective if you really practiced all your communication techniques every day? What would happen if you engaged prospects every day by using conversational selling & motivational selling? Would you like to achieve your income goal for 2012 and 2013? Then should you be asking more questions? By the way… did you notice that there are no statements in this message? Isn’t everything I wrote in the form of a question? Is it effective? What will happen when you start to ask more effective questions? 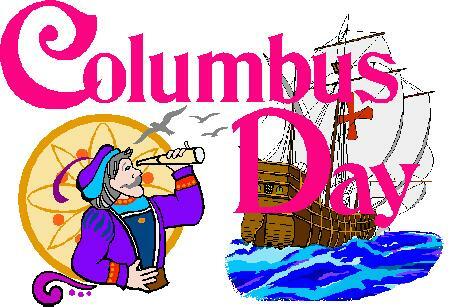 On Monday, October 8, 2012, we celebrate Columbus Day! On October 12, 1492, Columbus “discovered America!” We have all studied Columbus in elementary school and we all memorized the poem, “In 1492, Columbus sailed the ocean blue…” What can we learn over 500 years later that is applicable to our real estate business? 1) Adventure: An adventure is defined as “an exciting or unusual experience; it may also be a bold, usually risky undertaking, with an uncertain outcome.” Sounds a lot like today’s real estate market! You do not necessarily need to be a thrill-seeker or adrenaline-junkie to enjoy adventure, all you have to do is take that first step! Where will that first step lead you…. commissions, referrals, excitement, confidence, knowledge, experience, friends, ideas… who knows? The adventure of real estate that you have chosen will lead you to discover your dreams, freedom and so many rewards you have yet to imagine! Approach each real estate transaction as a new opportunity to discover new things about your career, yourself and your new clients. There is an adventure for everyone and a moment in each adventure that will inspire you and touch others long after the experience is over. 2) Risk: Your voyage of discovery involves taking many risks! The higher the risks, the greater the rewards. Today’s real estate market poses many risks… multiple offers, lenders who will not finalize a loan, titles that are not marketable, properties with multiple offers, co-op agents who do not communicate, properties that may or may not be available, clients that disappear, deals that do not close after months of being under contract, etc! You must be bold and confident to take action in spite of these risks, but consider the alternative. In real estate, these are “calculated” risks so you may prepare your clients for some of the possible outcomes for every action. Your willingness, however, to venture into the veritable unknown of each transaction will lead you to increasing rewards… commissions, referrals, knowledge, enhanced confidence, expanding your “comfort zone,” sense of accomplishment, and the list continues! 3) Support: Columbus could not have made the voyage nor discovered America without a lot of support! Who supports you in your daily adventures; who is your “Queen Isabella?” Whatever the enterprise you involve yourself in, you must find support from others to assist you in achieving your dreams! This support may take many forms: spouse, friends, co-workers, brokers, family, coaches, mentors, teachers, etc. Additionally, this support may be financial or emotional. Regardless, revel in the reinforcement and rely on those who back you on all of your adventures! 4) Courage: Can you imagine how brave Columbus was to set sail from Spain and sail across the ocean towards “the end of the world?” Most at that time thought the world was flat and that Columbus would fall off the edge into oblivion! There are many real estate deals that too seem like we are about to fall into oblivion (or wish we would!) Have the courage to stick to your (business) plan, follow your beliefs, work towards the greater good and achieve your goals! 5) Negotiation: An explorer must negotiate through many obstacles throughout the journey. Physical obstacles as well as negotiating for goods and services in new lands! Consider the many “physical obstacles” in your transactions (which party will have the utilities turned on, the copper piping and AC compressor were stolen, the appraisal did not come in as expected, etc.) When you negotiate through the terms of the offer and contract with your co-op agent and the bank, there are many times that you feel as if you are in a new land dealing with people who speak a different language and have different customs. Approach these situations not with disdain, but as an explorer having to make yourself understood and having to discern what the others are trying to communicate so that all can co-exist in harmony! 6) Resilience & Perseverance: An explorer must be resilient in all situations and persevere in the face of adversity! Today’s real estate market poses many challenges and obstacles; as an agent you must be resilient every day and persevere through these situations. It is your job and responsibility to work through these issues and continually work towards your client’s best interest. You will be rewarded with referrals and closings by demonstrating these characteristics. So be the Christopher Columbus of your real estate business adventure and remember that “you can never discover new oceans if you do not have the courage to lose sight of the shore!” Long after you help a client find their dream home or get out of a financially bad situation, they too will remember you in the years to come!